Hon. Sa’ad Ali Shire Steals From Somaliland Proletariat In Difficult Times And He Expects WE THE PEOPLE To Say Him ( Mansha’a ALLAH ) Otherwise We Are Pests ……… “Two Things Are Infinite: The Universe And Mr. Sa’ad Ali Shire Stupidity; And We Are Not Sure About The Universe.” ― Albert Einstein. The Leaked Classified Documents Released By Anonymous Sources Has Stated That Somaliland Government Minister Has Bought Two Luxurious, Most Expensive Houses In London UK. Sources Has Further Said That Subeer Awalland† Aka Somaliland Is Underprivileged Country Whereby 90% Of Its Population Live In Poverty. Citizens Are Faced With Daily Day Hardships, Disease, Famine And Mismanagement Are Prevalent In The Country. It Is Said That Government Officials Spend Public Money For Their Own Personal Use And The Country Is Mainly Dependent On Imported Food From Overseas. Aid Donations From The International Community Are Misappropriated By Gov’t Officials Who Buy Houses In Abroad. Former Failed Foreign Minister And Not Much Hope Expected Appointed Finance Minister Honorable Said Ali Shire Has Bought An Expensive And Luxury House In London By Paying $ 2 Million And Five Hundred Although He Did Not Specify Where He Earned The Money. On the other hand, when Hon. Mr. Sa’ad Ali shire Minister of foreign affairs was he has bought a house in London also. Mr. Ali shire paid an amount estimated to be around $ 1000, 000 and paid it in cash. 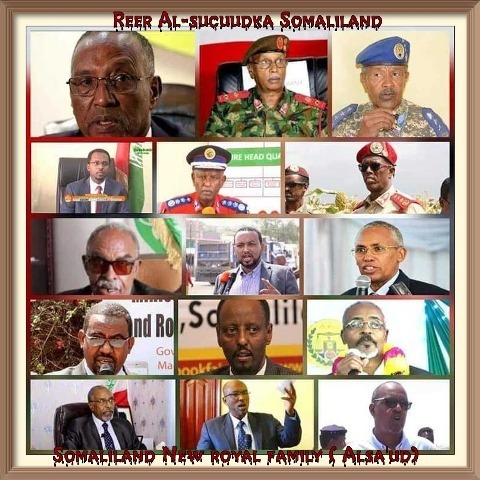 Keep in mind the honorable sa’ad Ali Shire belongs to new and first Royal family of Somalila and Somaliland ever also called the AlSa’uds of Hargeisa ….